Welcome to the How to connect to the Facebook Graph API tutorial. 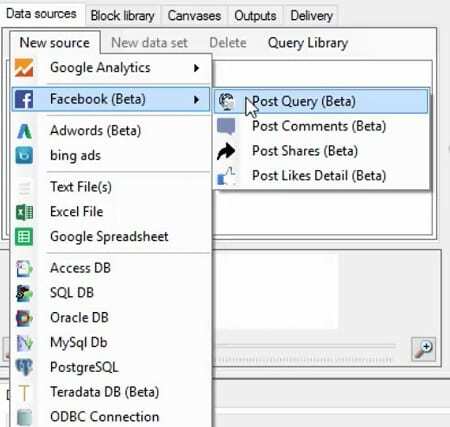 This tutorial aims to give you an overview of the Facebook connector and to touch on some high level concepts such as types of API requests you can make and how to define a query. Step 1. Select “Facebook” from the New Source Menu and then choose one of the request types. Step 2. Select a Facebook page by typing its name and clicking the “Add page” button. 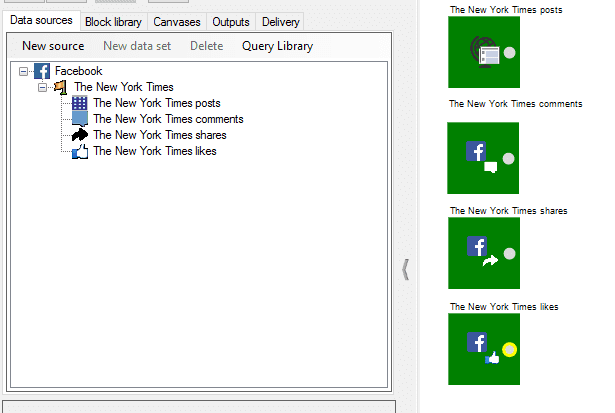 You can include multiple Facebook pages in the query. Once you are ready to proceed, click the “Next” button. Step 3. Select the time period for the query and click “OK”. Step 4. Name your query. Analytics Canvas pulls the data and adds it to the Facebook Import Block(s).